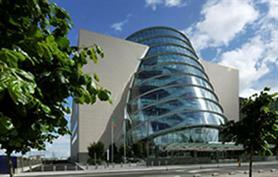 The Convention Centre Dublin (CCD) in Ireland has won its bid to host the European Society of Coloproctology Annual Meeting in 2015. The society’s tenth Scientific and Annual meeting will take place between 23-25 and is expected to attract around 1,000 international delegates. European Society of Coloproctology president-in-waiting Ronan O'Connell said: "We have a shortlist of criteria to help us select our event venues and The Convention Centre Dublin ticked all of the boxes. The committee members were also pleasantly surprised by the good value that Dublin offers." The event’s programme will include industry-related symposia, educational sessions, an exhibition and network opportunities.